The holidays are fast approaching! If you’re feeling a little run-down and like your to do list is massive, I have an idea for you – spend a day at the spa. Not the real spa, but a home spa. Earlier this year, I needed a reboot after yoga teacher training. Between doing a lot of yoga and ignoring all other parts of my life for a month, my house was a mess and I could barely wrap my head around all the things I needed to catch up on. All I wanted was some relaxation, rejuvenation, and a little pampering, but new I needed to get some serious stuff done. My thoughts kept drifting back to my birthday earlier this year. It was by far one of the best birthday’s I’ve ever had. I spent the day at the Nob Hill Spa relaxing, reading, and pampering myself. I was craving that same feeling of serenity and indulgence (without the large spa price tag), so I created a spa day at home. Cut out all distractions: limited my time in front of the computer to only accomplish tasks I wanted to cross off; no Facebook, limited email, and definitely no TV. Create a beautiful space: Rather than cleaning the entire house at once, as I went about my day I cleaned different areas of my home. When I made my green juice, I cleaned down the kitchen. Before taking a bath, I cleaned the bathroom. I lit candles, opened all the windows, burned sage. At every moment, I tried to make the space around me beautiful and peaceful – reducing clutter and making it sparkle. Eat “spa food”: I drank green and fruit juices and ate pureed veggie soups. 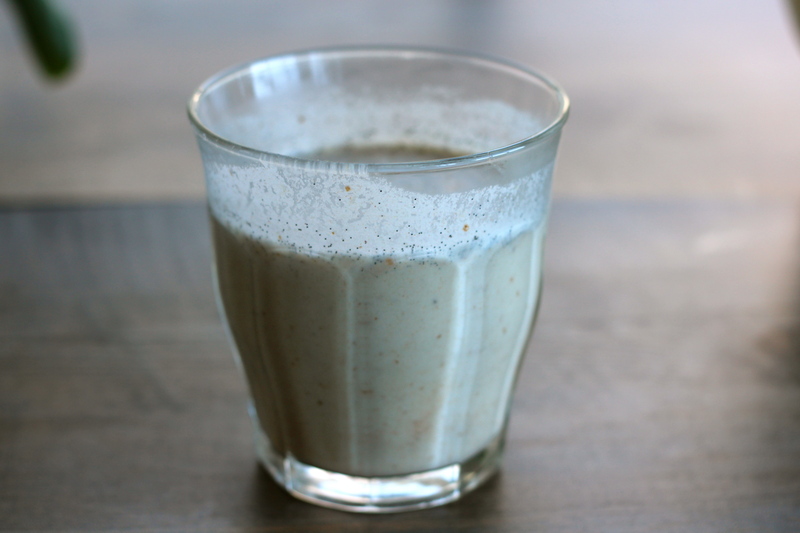 I also made this luscious creamy vanilla cashew milk that tasted like a milkshake. Have little indulgences: Part of the spa experience are those little details that feel so luxurious – but are actually easy to recreate at home. Lighting candles, buying flowers, filling a pitcher of water with cucumber or lemon slices. Add some amenities: Since my home doesn’t have all the accoutrements of a spa, I headed to my gym with a book (and no workout clothes) and sweated it out in the sauna for 20 minutes. I took a yoga class in the middle of the day. You could also stop by a nail salon and get a quick neck and shoulder massage (or a mani/pedi). Basically, I turned a glorified day of house cleaning and errands into a peaceful, serene day that felt like an indulgence. I got as much (if not more) done than if I’d spent the day “cleaning my house and doing errands” – but all of it felt like a guilty pleasure. The next day, I woke up feeling physically and emotionally lighter. I loved waking up to a clean and tranquil apartment. What’s funny is that it could have just been another day where I stuck around and took care of chores around the house. But by changing the purpose of it – centering it on how I want to feel versus getting things on my to do list done – made it a much more pleasurable experience. And I have to say, more productive: instead of avoiding doing chores by watching TV or playing on the internet, I enjoyed the process as part of my “cleanse” and sprinkled it with delicious little pampering activities. I might make it a goal to have a spa day once a month. Why do you go to the spa? To feel relaxed and rejuvenated, cleansed, and pampered. All of that is incredibly important, and we shouldn’t wait for a once-a-year splurge to feel that way. At the core of everything you want is the desire to feel a certain way. Figure out how you want to feel, and if you are creative you can fulfill all your desires in small ways in addition to the big ones. If you want to feel relaxed and rejuvenated: take a long bath with delicious smelling salts and read a good book or a magazine you don’t normally read while sipping cucumber juice. Make it a full-body treatment by doing a scrub and a mask. If you want to experience a beautiful, tranquil place: make your space beautiful and tranquil. For me, part of doing a spa day at home was cleansing, inside and out. While I was drinking green juice and cucumber water, I was also cleaning the spaces that I was spending time in, lighting candles, adding flowers. Prepare for your home spa day the same way you prepare for a day at the spa: Make sure you have everything ready that you want to take with you, and do whatever self-care stuff you would do before going to the spa so that your time is really focused on creating the ambiance of how you want to feel, rather than taking care of business. 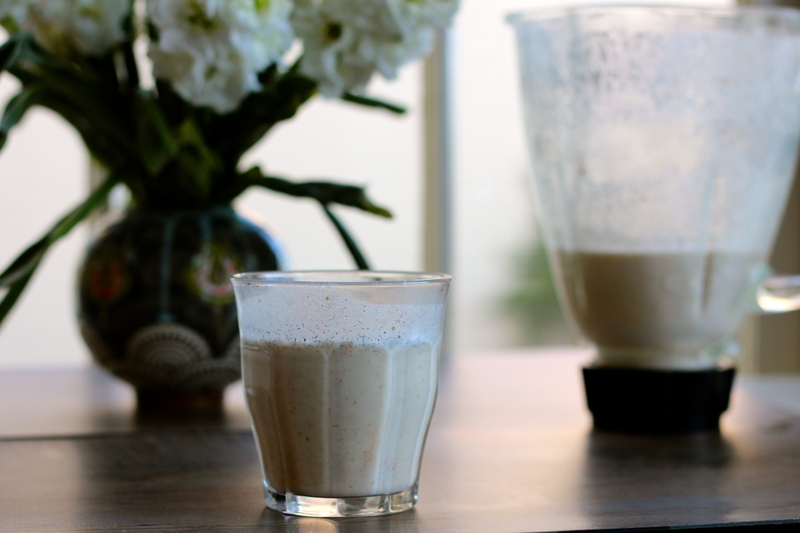 Blend all ingredients in a blender. Using less water makes gives it a melted milkshake consistency, and feels very decadent. Number of servings depends on how much water is used – use 3 cups for a creamier drink. Craving those same feelings, I decided to have another spa day today. As I’m typing this I’m sipping my green juice, and as soon as I’m done I’m powering down and focusing on what I need to feel rejuvenated and ready to hit the rest of the holiday season with a bang. I hope you can create a peaceful and luxurious space for yourself over the next few weeks so you can recharge and start 2014 off right. Love the "home-spa," while I often find myself working at home, it's so important to me to create a sanctuary at my home. Developing a balance between the two is ideal, great article, xo! Thanks Bailey! Even though it's a glorified day of work, it FEELS completely different.